The Trump administration said it will end temporary protections for immigrants in the United States from Honduras on Jan. 5, 2020, leaving potentially 57,000 people vulnerable to deportation. It is the latest in a series of decisions by President Donald Trump to shut down temporary protected status (TPS) granted to immigrants after natural disasters or violent conflicts that would prevent them from safely returning to their home countries. The government of Honduras said on Friday that it “profoundly regrets the cancellation of the program” and pledged free legal and consular support for Hondurans living in the United States. 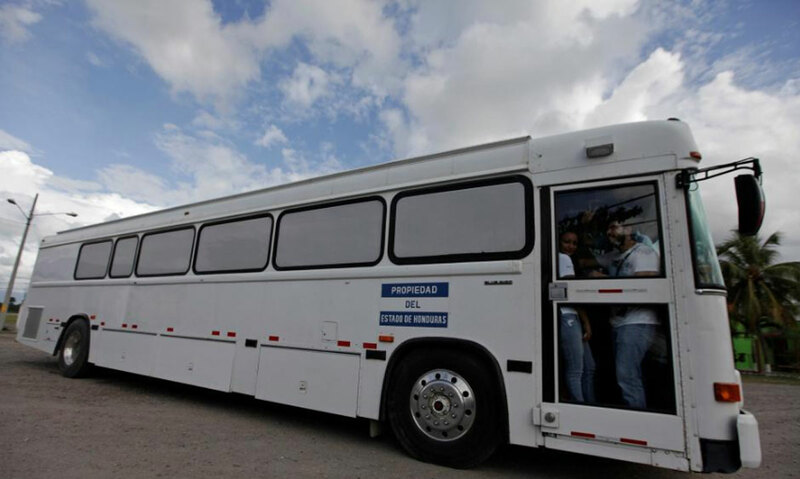 Marlon Tabora, the Honduras ambassador to the United States, said the conditions did not exist in the Central American country to deal with the repatriation of tens of thousands of people. “These families have lived in the United States for 20 years and re-integrating them into the country will not be easy if they decide to return,” he said. After El Salvador, Hondurans are the second largest nationality with TPS to lose their status, which was granted to the country in 1999 following the devastation of Hurricane Mitch. The government said it had conducted a review and found “conditions in Honduras that resulted from the hurricane have notably improved.” The 18-month timeline to end the program would allow “individuals with TPS to arrange for their departure or to seek an alternative lawful immigration,” the Department of Homeland Security said in a statement. The Boston-based Lawyers’ Committee for Civil Rights and Economic Justice said later on Friday that it would amend a legal complaint filed in February to include the Hondurans affected. The original complaint challenged the Trump administration’s decision to terminate a similar program protecting immigrants from Haiti and El Salvador. In January, the Trump administration ended TPS classification for some 200,000 Salvadorans, who had been allowed to live and work in the United States since 2001. Their status will expire in 2019. The administration also recently ended the program for Nepal. TPS critics complain that repeated extensions in six- to 18-month increments of the status, sometimes for decades, has given beneficiaries de facto residency in the United States. In November, then-acting Homeland Security Secretary Elaine Duke set a deadline of six months to make a decision about TPS for Honduras, which is one of the most violent countries in the Western Hemisphere and recently has been convulsed by protests following a contested presidential election. Duke is no longer in charge, replaced by Kirstjen Nielsen. Most of the other countries that have come up for TPS review have had the status terminated, except for Syria, which is in the midst of a devastating war. Canada has become the target of choice for those who fear deportation from the United States. Last year, almost 10,000 Haitians crossed the border illegally amid fears their U.S. temporary protected status might end. Canadian Immigration Minister Ahmed Hussen said Hondurans had until 2020 to decide what to do, meaning it was unlikely people would rush north. “I don’t believe we will see that wave of individuals coming to Canada,” he told the Canadian Broadcasting Corp. The decisions on TPS are upending the lives of people who have settled in the United States, sometimes for decades, according to immigration advocates. “They have made enormous contributions to this nation as workers, small-business owners, homeowners, parents of U.S. citizens and community members,” said Frank Sharry, executive director at the Washington-based America’s Voice Education Fund. Some Democratic lawmakers decried the decision and said Congress should act to pass legislation that would allow long-time TPS holders to remain in the United States. Karen Valladares, the director of the National Forum for Migration, a non-governmental organization in Honduras, said people continue to leave because of gang and drug-related violence and lack of economic opportunities.